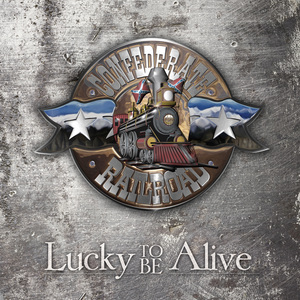 Confederate Railroad revisits their past on an updated version of "Trashy Women," which features Country Music Hall of Fame member Willie Nelson, John Anderson, Colt Ford and former NFL coach Jerry Glanville, CRR lead singer and founder Danny Shirley says he still is amazed about the staying power of that song. "That turned out to be a career record, and is the reason that we work so much. It still gets so much airplay. I think it was (hit songwriter and long-time friend) Bernie Nelson who suggested about bringing the song back. I was a little hesitant. Once you’ve done something, it’s pretty much done. Then, we had the idea of getting some of the other acts on it, and doing it for charity. Any of the proceeds on the song go to the Hunter Worley Foundation – and John, Willie, and Colt were so gracious to do that."